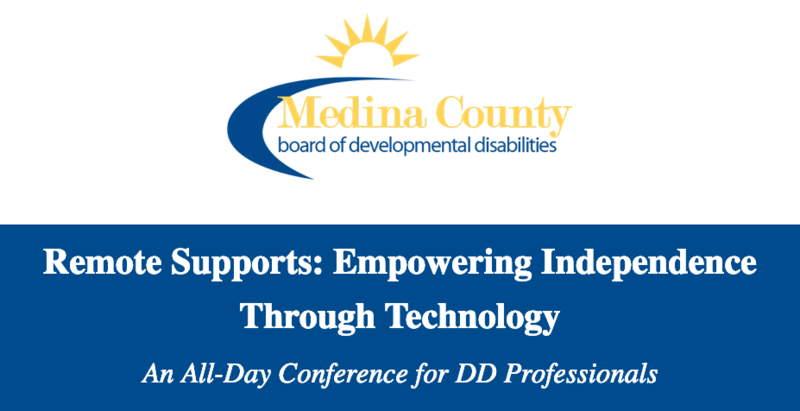 Medina County (OH) Board of Developmental Disabilities will host an all-day conference for DD Professionals. The “Remote Supports: Empowering Independence for Technology” conference will take place April 18, 2019, 8:30am-4:00pm. Allen Ray, CEO of SimplyHome, will serve as the keynote speaker. To find out more about the conference, please contact Connie Hartman, MCBDD Assistive Technology Specialist, at connieh@mcbdd.org with any questions. You can register for the conference here.